Revell of Germany’s 1/32 FW190A-8: Not bad, not bad at all. Having recently finished Revell of Germany’s (“RoG”) 1/32 Spitfire MKIIa, I decided to crack into their 1/32 FW190A-8. The 190 was a far more ambitious effort by the German manufacturer, with a full engine and mounts included. Part of what made the Spitfire a fun departure from my still in-progress Tamiya Spitfire MkIX was the simplicity of the build. 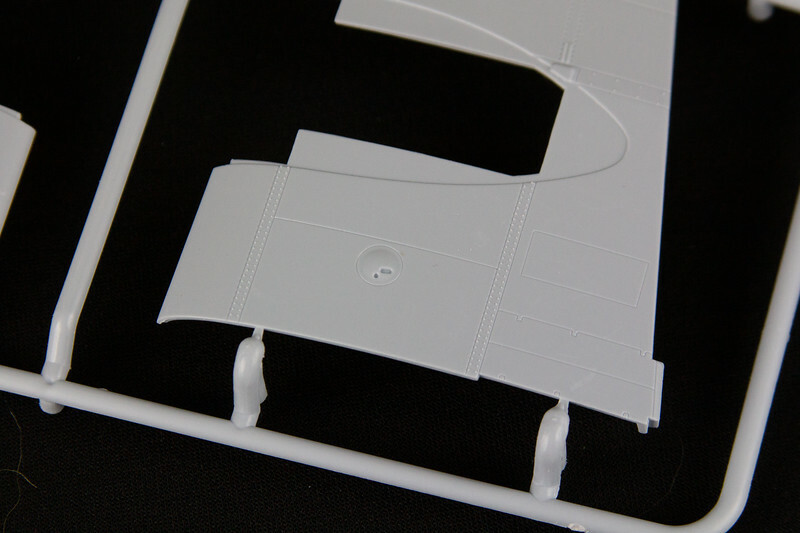 Simplicity that was in no small part caused by a lack of cowlings to assemble over a complex engine like that found in the beautiful Tamiya Spitfire kit. Getting a perfect fit with those Tamiya parts is a chore that while undoubtedly better than most other kits could dream of pulling off, I’ve rarely seen executed flawlessly on a built model. Like the Spitfire, the detail in the cockpit is adequate, but this time I opted for Eduard’s Brassin replacement cockpit and HGW belts. The substantial but largely hidden increase in detail probably won’t be worth the cost to most builders, but I loved it. And, it fit perfectly. HGW fabric belts are the industry standard, in my view, and are a must-have purchase for any model I want to display with an open cockpit. I also opted to replace almost anything that RoG intended to mold as a cylinder. 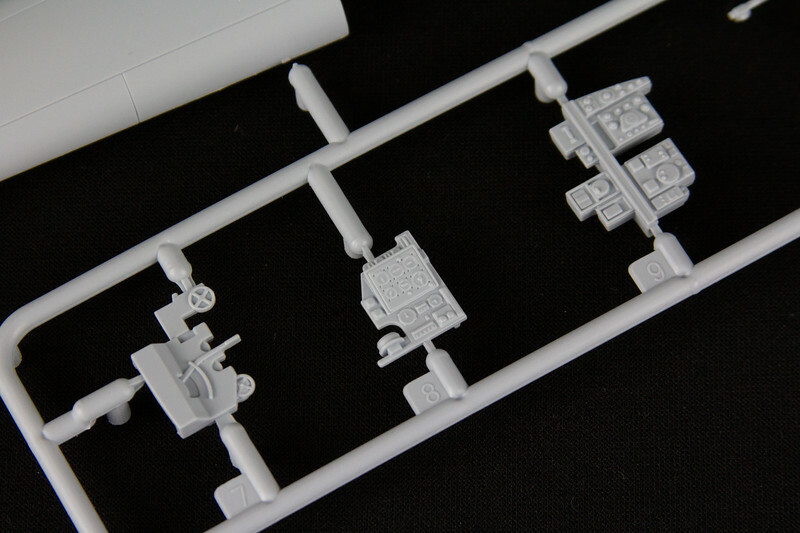 As much good as can be said of the quality of the kit, RoG just hasn’t figured out how to mold small parts, particularly cylinders, in a way that won’t require prolific scraping of the mold seams to get something that resembles a circular cross section. This means I ordered Master Model turned brass barrels and Eduards Brassin landing gear struts and wheels. All fit and worked as intended and added a splash of much needed detail in those areas. The metal landing gear were beautiful, added much needed strength, and fit perfectly. The RoG propeller and spinner, to my eye, was wholly inadequate. This was replaced by what was ostencibly Eagle Parts resin. After further review, I think my eBay purchase might have been a knock off of the Eagle Parts parts. Regardless, these look far better in accuracy than the kit parts, but they had their own issues. My resin props were tricky to assemble giving no real positive placement for the blades. You just had to plug the blade in to a hole on the spinner and try to align it correctly in all axis before the CA glue dries, while also doing the same to two other blades and hoping to get them aligned in a way that looks symmetrical. If you end up with the same blades and spinner I did, I’d suggest you make a jig, somehow, to get the blades aligned (or just buy the actual Eagle Parts, as it appears from the picture on their website that they have this issue solved). I initially contemplated having the engine completely closed in the cowling or I would have spent more time detailing, weathering, and wiring the thing. Finally we get to the engine and cowling. Alignment issues here tend to propagate and magnify from the fire wall to the spinner. Then, you have to essentially build the cowling around the engine that likely isn’t aligned perfectly. This isn’t truly difficult, but is by far the most tricky part of the build. Its tricky enough that it will likely turn off many modelers who would find gaps and misalignment abundant if put together without multiple dry fit runs. Even so, I elected to display a cowling panel open, in part to display the better-than-average but could-be-better engine, but also to hide the gaps and misalignment that appeared around that final panel when everything else was aligned as good as I could get. If I had to do this kit over again, I would certainly opt for the Eduard Brassin engine set. I think the substantial increase in detail, even if only visible through an open cowling, would really add that final pop to an otherwise very solid kit. And, if Eduard’s Brassin cockpit is an example, the fit of these parts would probably be better than the kit parts. I wanted to do my 190 as one flown in the ETO. As such, I opted to use Kagero’s phenominal “FW 190s over Europe, part II“. I chose to do a FW190 A-7 as flown by Lt. Hans Ehlers, of 3./JG 1, from late 1943. To my eye, the back dating to an A-7 from the A-8 required moving the pitot in-board and leaving off the prominent upper wing bulges that would go over the cannon. I am certain that both Luftwaffe fan-boys and academics heads are exploding by my severe simplification and lack of understanding of the nuances between the two marks. Paint was Gunze RLM 74, 75 and 76 thinned 50/50 with Mr. Leveling Thinner over Mr. Finishing Surfacer black. Multi tone camouflage was completed using the Sotar 20/20 and free-handing the markings eyeing for a tight feather between the colors. 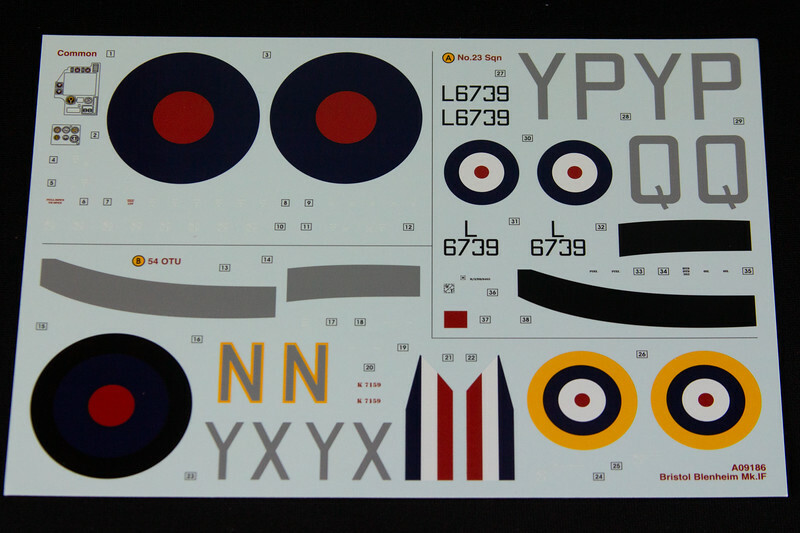 Decals were a combination of those supplied in the Kagero book as well as HGW wet transfers and the kit decals. With the RoG 190 as with their Spit IIa, the parts were well detailed and of generally high molding quality. The construction was a breeze with no real fit issues along the fuselage and wings, and the instructions are clear. A modeler with moderate skill, and significant patience, would be able to build this kit and end up with an impressive model capable of being displayed in flight with RoG’s included stand, or displayed in the usual parked configuration. In sum, like RoG’s Spitfire MkIIa, this is a good kit, with some problems already addressed by the aftermarket. It’s generally a fun build that with an extra investment of time, and the sacrifice of some money to the AM gods, can really build into a stunner. In fact, my experience with these two Revell kits has been so positive, that I’m considering jettisoning the Tamiya 1/32 Mustang in my stash for RoG’s new tool D, ‘Stang. A full photo journal of the build process is available here. Revell’s 1/32 scale Spitfire MkIIa: 1/4 the cost of a Tamiya Spit, and 2/3 the quality. 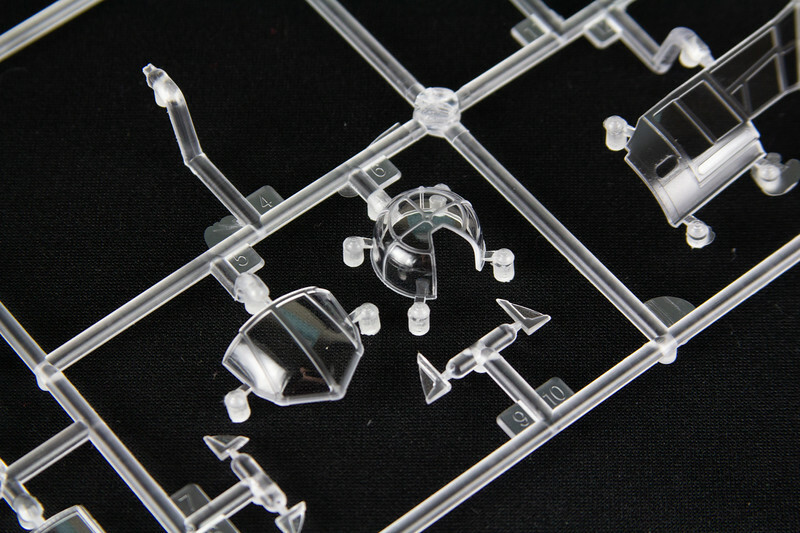 If you base your modeling decisions on value, this kit needs to be top of the heap. Revell’s new tool early war Spitfire is a gem where value intersects quality. I highly recommend it to modeler’s of any skill. That said, we are modelers and there are always things to complain about. The first and major concern is, regardless of quality and how fun this kit was to build, this is actually not a Spitfire MkIIa out of the box. 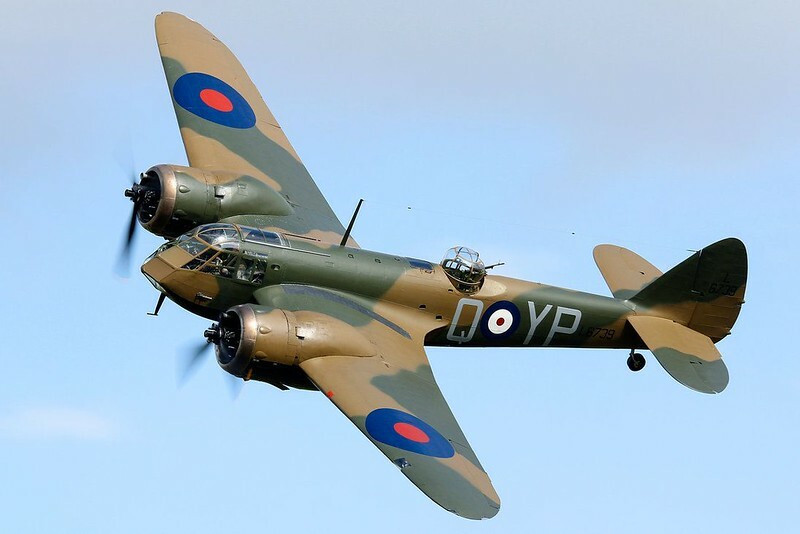 It is closer to a Spitfire Mk V with a fantasy prop and spinner and incorrect ailerons. Or, it could also be a Spitfire MkIIa with an incorrect oil cooler, a fantasy prop and spinner, and incorrect ailerons. You get to decide. Either way, unsurprisingly, there are correction sets to let you go any way you want. As I wanted an early war Spitfire, I chose the slightly more ambitious project of correcting the wing with a new resin set of ailerons, a corrected oil cooler, and a more detailed radiator, from Barracuda. It truly was an easy fix if you follow the instructions, with only having to cut out part of the kit wing out for the cooler and radiator. Everything fit beautifully, including the ailerons. Beginning surgery for the Barracuda corrections. The second concern is that the canopy included with the kit doesn’t fit correctly in the open position. It is too narrow to slide back over the fuselage and thus will sit noticeably too high on the spine if open. The simple solution is to put the canopy in the closed position, where the canopy fits perfectly. Closing the canopy partially solves another problem: out of the box the cockpit is a bit sparse for an open canopy inspection. This too can be corrected rather easily, but I chose the “good enough under glass” option. For my route I simply added some HGW fabric belts, and once again leaned on Barracuda for a replacement resin seat with armor (it’s head scratching why Revell left out the armor backing from their kit). I even used the kit decal for the instrument panel and carefully applied 5-second fix to create the appearance of lenses. I think it turned out rather well. It’s not Tamiya, but it looks good enough. Construction was a breeze. Everything fit like it should with no real issues along the typical trouble areas like the wing root. The horizontal stabilizers actually fit better than my experience with Tamiya Spits, and it was a relief to not have to wrestle a full Merlin, four cowlings and tiny magnets. The third and final concern is the fit of the landing gear legs into the wing. There is no other way to describe it but sloppy. I used some 15 minute epoxy and spent a few minutes checking the alignment of the legs to each other and the aircraft, and let it set. I think it came out okay, but the issue here was surprising given the overall fit of the rest of the kit. Finally, I painted, lightly weathered, and threw on Eagle Parts resin Rotol prop and spinner and called it done. In sum this is a great kit. There are issues, but all kits have them. 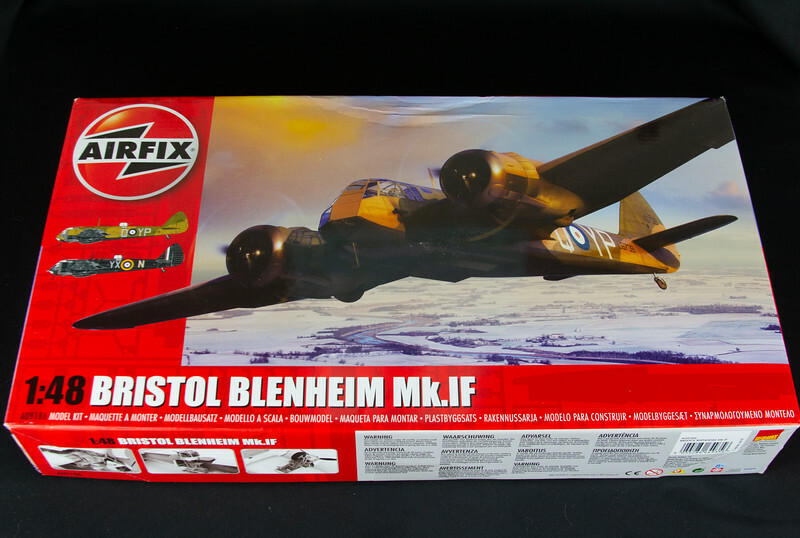 For the money, especially if you want a Mk V spitfire and don’t mind errors like an incorrect prop/spinner and or ailerons, this kit will surpass even much more expensive kits. 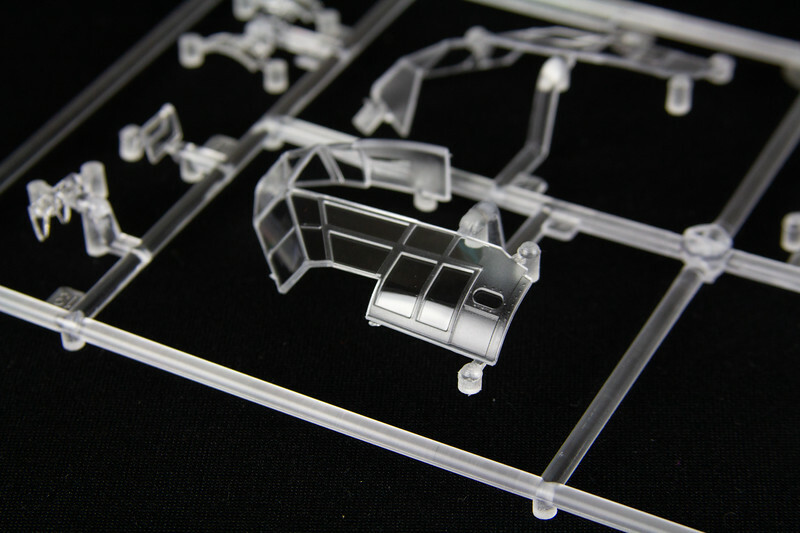 If you want an early war Spitfire, a Mk I or II, you can invest in some resin replacement parts, and with a little work have the best early mark spitfire in 1/32 scale.